geometric mechanics, spacecraft guidance, navigation, and control, astrodynamics and spaceflight, stability and control of time-varying / time-delayed / fractional-order systems, nonlinear dynamics, and perturbation analysis. His research interests include spacecraft control, geometric mechanics, and fractional order systems. He has published/co-authored two book chapters and several journal articles in Journal of Guidance, Control, and Dynamics, Acta Astronautica, and Nonlinear Dynamics, among others. 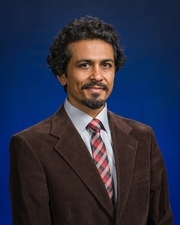 He serves as a reviewer for more than 20 journals including Journal of Guidance, Control, and Dynamics, IEEE Transactions on Automatic Control, and Nonlinear Dynamics. [B1]. E. A. Butcher, A. Dabiri, and M. Nazari, Stability and Control of Fractional Periodic Time-Delayed Systems, invited chapter in Advances in Delays and Dynamics, Time Delay Systems, Part of the Advances in Delays and Dynamics book series (ADVSDD, volume 7), pp 107-125, Springer, 2017. [B2]. E. A. Butcher, O. Bobrenkov, M. Nazari, and S. Torkamani, Estimation and Control in Time-Delayed Dynamical Systems using the Chebyshev Spectral Continuous Time Approximation and Reduced Liapunov-Floquet Transformation, invited chapter in Recent Advances in Analysis and Control of Time-delayed Dynamical Systems, ed. J.-Q. Sun and Q. Ding, World Scientific / Higher Education Press, Beijing 2013. Control, and Dynamics, in press. attitude motion, International Journal of Dynamics and Control, in press. [J3]. A. Dabiri, E. A. Butcher, M. Poursina, and M. Nazari, Optimal Periodic-gain Fractional Delayed State Feedback Control for Linear Fractional Periodic Time-delayed Systems, IEEE Transactions on Automatic Control, in press. [J4]. A. Dabiri, E. A. Butcher, and M. Nazari, Coefficient of Restitution in Fractional Viscoelastic Compliant Impacts using Fractional Chebyshev Collocation, Journal of Sound and Vibration, 388, pp. 230–244, 2017, http://dx.doi.org/10.1016/j.jsv.2016.10.013. [J5]. M. Nazari, E. A. Butcher, and W. Anthony, Earth-Moon L1 Libration Point Orbit Continuous Stationkeeping Control using Time-Varying LQR and Backstepping, International Journal of Dynamics and Control, 2016, doi: 10.1007/s40435-016-0256-8. [J6]. M. Nazari, E. A. Butcher, T. Yucelen, and A. K. Sanyal, Decentralized Consensus Control of a Rigid Body Spacecraft Formation in Orbit with Communication Delay, AIAA Journal of Guidance, Control, and Dynamics, 39(4), pp. 838-851, doi: 10.2514/1.G001396. [J7]. E. A. Butcher, A. Dabiri, and M. Nazari, Transition Curve Analysis of Linear Fractional Periodic Time-Delayed Systems via Explicit Harmonic Balance Method, Journal of Computational and Nonlinear Dynamics, 11(4), 2016, doi: 10.1115/1.4031840. [J8]. A. Mesbahi, M. Haeri, M. Nazari, and E. A. Butcher, Fractional Delayed Damped Mathieu Equation, International Journal of Control, International Journal of Control, 88(3), 2015, doi: 10.1080/00207179.2014.971430. [J9]. M. Nazari and E. A. Butcher, Fuel efficient periodic gain control strategies for spacecraft relative motion in elliptic chief orbits, International Journal of Dynamics and Control, International Journal of Dynamics and Control, 4(1), pp. 104-122, 2014, doi: 10.1007/s40435-014-0126-1. [J11]. M. Nazari, E. A. Butcher, and O. A. Bobrenkov, Optimal feedback control strategies for periodic delayed systems, International Journal of Dynamics and Control, 2(1), 2014, pp. 102–118, doi: 10.1007/s40435-013-0053-6. [J12]. M. Nazari and E. A. Butcher, Stability and Hopf Bifurcation Analysis of Delayed Feedback Spin Stabilization of a Rigid Spacecraft, Nonlinear Dynamics, 74(3), 2013, pp. 801–817, doi: 10.1007/s11071-013-1006-5. [J13]. M. Nazari and E. A. Butcher, On the Stability and Bifurcation Analysis of Dual-Spin Spacecraft, Acta Astronautica, 93, 2014, pp. 162–175, doi: 10.1016/j.actaastro.2013.07.010. [J14]. M. Nazari, E. A. Butcher, and H. Schaub, Spacecraft Attitude Stabilization using Nonlinear Delayed Multi-Actuator Control and Inverse Dynamics, AIAA Journal of Guidance, Control, and Dynamics, 36(5), 2013, pp. 1440–1452, doi: 10.2514/1.58249. [J15]. O. A.Bobrenkov, M. Nazari, and E. A. Butcher, On the Analysis of Periodic Delay Differential Equations with Discontinuous Distributed Delays, Journal of Computational and Nonlinear Dynamics, 7(3), 2012, doi: 031010.1-031010.12. [J16]. M. Sari, M. Nazari, and E. A. Butcher, Effects of Damaged Boundaries on the Free Vibration of Kirchhoff Plates: Comparison of Perturbation and Spectral Collocation Solutions, Journal of Computational and Nonlinear Dynamics, 7(1), 2012, doi: 011011.1-011011.11. [J17]. F. Bakhtiari-Nejad and M. Nazari, Nonlinear vibration analysis of isotropic cantilever plate with viscoelastic laminate, Nonlinear Dynamics, 56(4), 2009, pp. 325–356, doi: 10.1007/s11071-008-9401-z. Equations, American Control Conference (ACC), Milwaukee, WI, June 27-29, 2018. Conference, Kissimmee, FL, January 8-12, 2018. AIAA Guidance, Navigation, and Control Conference, Kissimmee, FL, January 8-12, 2018. (ACC), Seattle, WA, May 24-26, 2017. Guadalajara, Mexico, 26-30 September 2016. Conference (IDETC/CIE), August 21-26, 2016, Charlotte, NC, 2016 (Best paper award). (ACC), Boston, MA, July 6-8, 2016. Boston, MA, July 6-8, 2016. Time Delay Systems, Ann Arbor, MI, 2015. Mechanics Meeting, Williamsburg, VA, 2015. Flight Mechanics Meeting, San Diego, CA, August 4-7, 2014. Specialist Conference, Hilton Head Island, South Carolina, August 11-15, 2013. Head Island, South Carolina, August 11-15, 2013 (Best session presentation). Computers and Information, Oregon, Portland, August 4-7, 2013. (ACC), Washington DC, June 17-19, 2013 (Best session presentation). [C24]. A. Larsen, T. Critz, W. Anthony, M. Nazari, M. Ziabakhsh-Deilami, E. A. Butcher, G.
Specialist Conference, Minnesota, Minneapolis, August 13-16, 2012. 29 - February 2, 2012. Charleston. January 29 - February 2, 2012.
of Columbia, Washington, August 28-31, 2011. Pennsylvania, Philadelphia, September 28 - October 1, 2010. Daejeon, South Korea, Korea (South), Daejeon, July 6-10, 2008. Iran, Kerman, July 1-4, 2008. Science and Technology, Sharif University of Technology, Iran, Tehran, February 1-4, 2008.
and Technology, Sharif University of Technology, Iran, Tehran, February 1-4, 2008.